There is just nothing quite like fresh roasted coffee. The “aroma-roast” drifts to and fro along the streets and byways of our home town watering mouths and whetting appetites for miles around. 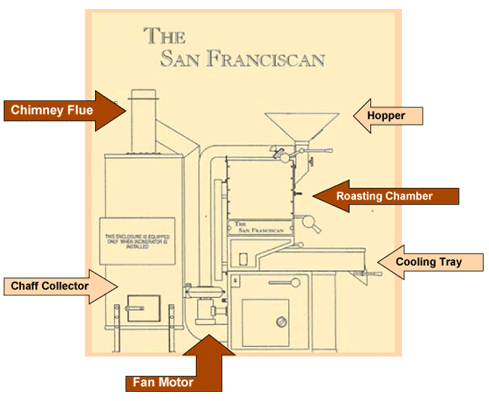 The amazingly aromatic coffee I speak of is roasted daily within hours of use on the 16 Kilo San Franciscan coffee roasting machine pictured. This celebrated machine is located on site at Lakota Coffee Company and Roasters here in the heart of Tiger country and Missouri University at Columbia. 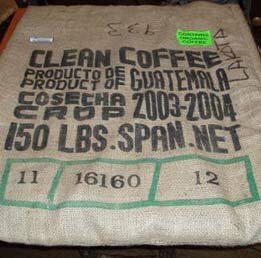 * If it’s roasted for shipment to one of our mail order or wholesale customers, it comes out of the roaster hot and hits the bag when it cools to room temperature. That's fresh roasted coffee. Simple as that. * If it’s for the store, with an occasional exception, we roast a number of small batches (25lbs. or less) of fresh coffee every day. * This insures that between in-store brewing of daily coffee, retail sales, local wholesale accounts, and our coffee kiosk, it moves through the store so quickly it never has a chance to sit on the shelf. * Most experts explain that fresh roasted coffee has a ten-day to two-week window for absolute freshness. 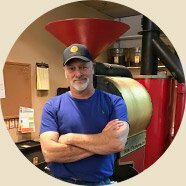 A roasting company that specializes in roasting fresh coffee to exacting standards and shipping it directly to you...while still just hours young! I’m sure that only a person with an exceptional palate can distinguish differences less than ten days. There is only one step in creating “The World’s Best Fresh Roasted Coffee” that is just as important as the roasting process itself. 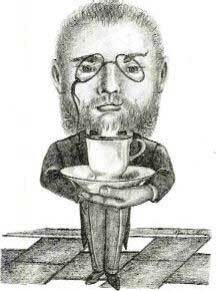 That is to say, you can do a so-so job with grinding and brewing and, with a bit of luck still have a great cup of coffee. Apparently, God has quite a sense of humor since it's clear that most things extraordinary seem, shall we say…less than easy to possess?! Assuming it’s moral, loving what you do always returns big dividends for every one involved, especially yourself, and those who partake of your final creation. 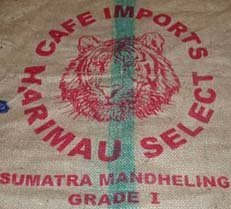 The whole point of this is to say that without excellent green coffee, all of the care taken by a Roastmaster will be like pearls cast to swine. Thus, “The Perfect Cup” becomes sadly unattainable. Our friendly Dayton Freight man delivers our coffee to us on palates loaded with burlap bags of coffee from our importer weighing in at 132 to 150 pounds. * The country or Private Estate’s artwork and its logo, etc. 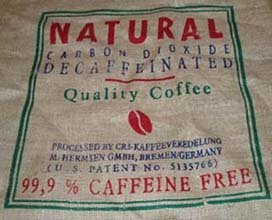 * Decaffeinated: The new bag or sometimes the original one turned inside out carries markings that identify the coffee as Decaf and the type of process used. There are many grading systems for coffee but don't let them confuse you. The “cup quality” is much more important than the size or grade so I would advise you to make your fresh roasted coffee choices by taste testing or "cupping" the coffee of the day. After all, that's how a good coffee importer makes a selection in the first place. If it’s a really good fresh roasted coffee that's loaded with satisfying flavor then the company in question has probably chosen a good importer. If that’s the case, then you've discovered a great source for your regular brew. Since we, for good reason, have faith in our green coffee importer to choose wisely, the responsibility then falls on the “Roastmaster” to do justice to those amazing beans! Here’s what I need to know to make that happen. * How to properly roast the coffee by making appropriate adjustments in terms of applied heat and length of time. These adjustments depend on many different variables ranging from the size of the roast, to the origin of the coffee beans, to the weather. This calls on experience acquired through roasting for many hundreds of hours and roasting many thousands of pounds. Eventually, at some point in your experience, you feel a subtle but powerful shift as a kind of sixth sense settles in. It is a "when its right you know it" kind of feeling. After that, roasting coffee is forever changed and you form a “bond” with the whole process that, in my humble opinion, makes one of the main differences between just roasting coffee for a living, and being a “Roastmaster”. I believe it also requires an open mind because you need to be willing to try new techniques and listen to feedback from your peers and your customer base. Believe me, they can tell you better than anybody if you’ve somehow slipped out of the groove and not realized it. that you’re “in the groove”! Though grinding green coffee beans could be accomplished, brewing the result would be pretty disappointing! It’s amazing what incredible complex flavor is locked inside the green bean that only heat will release. Green coffee beans are loaded with carbohydrates that produce sweetness through carmelization, and some “toasted wheat” flavors that occur when broken down by heat. Also, the acidic nature of green coffee becomes balanced by well-applied heat. The heat tames the harsh acids, and intensifies the more flavorful ones. They also contain between 8 and 14 % H20 within the cellular structure. This explains much of what happens during the roasting process. *	The beans begin to absorb heat and change color from the bluish green to a bright blanched vegetable green. Nice grassy fragrance is released. *	As the beans absorb more heat, they turn to a nice golden color releasing the wonderful aroma of toasted wheat. *	The water inside the bean exceeds the boiling point as the beans turn kind of mottled brown. The water vapor along with carbon dioxide gas (created by decomposing carbohydrates) creates pressure inside the cell walls of the bean. If the cellular structure weren’t pliable the beans would just explode. Instead they expand, and release the accumulated heat making a popping sound. 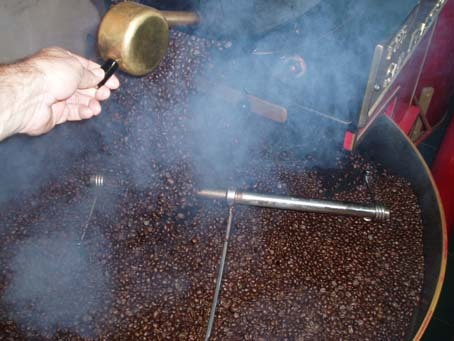 This happens twice during the roasting process and is known as “Pyrolysis”. *	The heat begins building inside the bean again creating hundreds of aromatic flavor compounds as the raw components of the beans break down. There is a thin lining around and inside the beans that is called silverskin. As the coffee expands, this is released creating “chaff” that accumulates in a tray underneath the roasting drum and in more quantity in the cyclone behind the roaster. 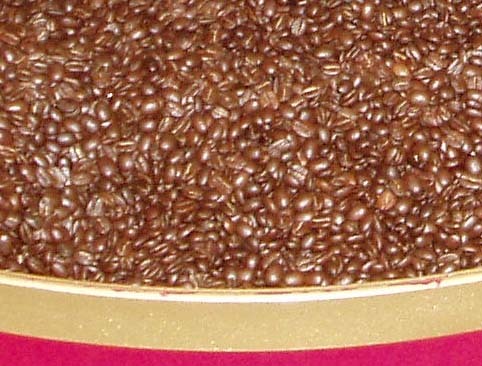 *	As the coffee smoothes out and approaches a darker brown color there is another “pop” and the beans grow larger yet. Sugars are caramelized as the roast darkens and at this point, depending on the roast, some of the volatile oils show up as they are released from inside the beans. 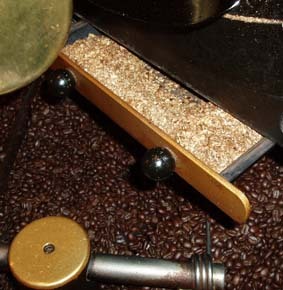 The darker the roast goes, the more oil shows up, as the cellular walls become more porous. So, in the final analysis, green coffee beans change color from blue-green to bright green, to gold, to brown, to dark brown with some oil, to very dark brown and more oil, then to almost black and very oily. They also nearly double in size releasing all kinds of amazing flavor compounds. In fact over 800 compounds are found in fresh roasted coffee, making it the most complex beverage by far. The coffee also loses about 15 to 18 percent of its green weight during the roasting process. Hand roasting in small quantities on our 16 Kilo San Franciscan roaster creates a very smooth, even roast and allows me to carefully optimize each coffees unique characteristics. Every roast is different. Nothing is automated. It’s the true “Mom and Pop” approach to down home goodness. This is what truly sets Lakota Coffee Company, and the few companies like us, apart from 98% of all coffee companies. O.K. So, when the coffee bags are all in proper position, I’m ready to begin the days roasting. We are a small batch roastery so coffee is weighed out in 5 to 25 pound quantities according to special orders, wholesale orders, and whatever needs to be restocked in the store for the day. In the picture below, you see the hopper loaded with 25 lbs. 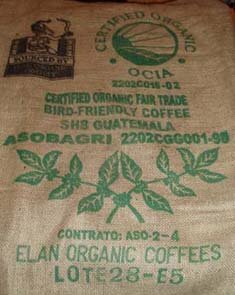 of green Organic Costa Rican. The roaster is pre-heated to 400 degrees and ready to go. I am going to bring this coffee to a Full City Roast. Coffees of the World page. 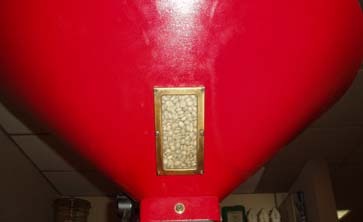 Below, you can see that the coffee has been charged into the roaster. You can see the roast tumbling in the view window. Notice the handle of the "tryer" below the window, a bit to the right. 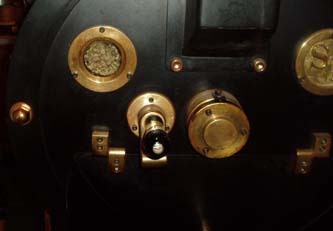 The handle of the tryer is connected to an inverted cup. I simply take hold of the handle and turn it 180 degrees so that the cup catchs some of the roasting coffee. When extracted I can look directly at the hot coffee. By sight, smell, and sound, I can track the roasting process. When coffee is charged into the roaster it brings the heat down from 400 degrees to around 250 degrees and climbs slowly back to a temperature of my choosing until the roast is finished. The coffee is paddled around inside the roaster drum, similar to a clothes dryer. The drum is heated by gas flame. 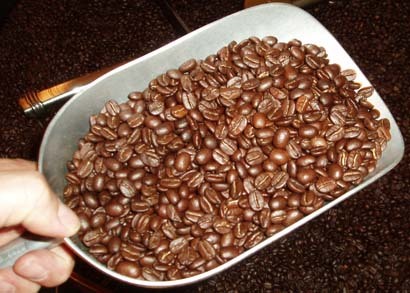 The coffee is continually kept air-borne producing a nice smooth fresh roasted coffee. This is a close up of the view window. Under normal circumstances, I use this window to track the early stages of the roasting process. In the later stages I begin using the "tryer", pictured above. This is what the coffee looks like green. I pulled the tryer immediately after charging the coffee so that you can see what it looks like before it enters the various stages of roasting. Here the roast is three minutes in, and color change has just begun. The green color has brightened up just a bit. There is a pleasant grassy fragrance in the air. Now, approximately four minutes in to the roast, we are beginning to see some color change. The objective here is to bring the heat up slowly and patiently as the roast progresses. We want to develop as much body as the coffee has to offer without roasting out desirable acidity. This will give us a beautifully balanced fresh roasted coffee. Five to six minutes in, the beans begin to take on a lovely golden color. The room (and the neighborhood) fills with the smell of toasted wheat. This is very similar to the heavenly aroma you get at home when toasting a whole wheat or sprouted grain bread. The beans also begin swelling as the heat builds. A short time has passed and the coffee is beginning to go from golden to light brown. At this point in the roast (from 8 to 9 minutes, the beans take on a mottled look. Actually they look kind of ruined. 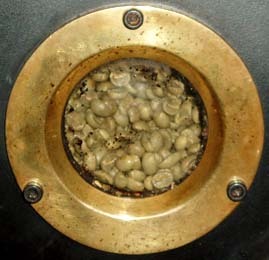 At approximately nine minutes into the roast, the coffee beans suddenly rupture as gasses building inside the beans escape. The beans double in size emitting a very audible popping sound. We call this "the first crack"! At somewhere in the vicinity of eleven minutes the surface and color of the beans are beginning to smooth out arriving at what is known as a "Cinnamon Roast"
I actually do a custom Cinnamon Roast for a couple of our regulars. It's a bit sour, but very fragrant, with fairly weak body. It's more like a strong, aromatic tea with some flowery overtones. We are nearing our Full City destination as the beans turn deeper and deeper brown. Actually for many shops around the country, this would be a F.C. roast. Skip and I are in agreement that a bit deeper is better. Why? Because we think our fresh roasted coffee tastes better that way, actually, a lot better! Our customers agree. At this point (between twelve and thirteen minutes) we believe, we're just short of our ultimate goal for fresh roasted coffee: more body and more intense flavor, still without dipping too far into the beans acidity. that we expect from a great fresh roasted coffee. On most of our F.C. Roasts, such as this one, I listen for the second crack. I know that on this particular coffee, our proprietary sweet spot is smack in the middle of second crack. In other words, out of the different roasts we have experimented with on this particular coffee, it's at this point in the roast that we get the best flavor "in the cup". Here's what it's all about. The fresh roasted coffee hits the cooling tray at about 440 degrees in the middle of a vigorous second crack. When I get a special "feeling" that I've hit the best part of the "sweet spot", this moment highlights a very fulfilling part of the day. As you can imagine, this attracts a lot of attention in our store. People just love the roasting process and several of our regulars have kids that want my job! Yum Yum! That's fresh roasted coffee! Here in these two photos you can see what I mean by a smooth, even roast. Notice that the coffee is all the same color and the same texture and smoothness. This indicates that the roast was brought up to temperature properly. In other words the right amount of heat was applied at the right time during the roast, preventing problems like “tipping” where the end of the bean blows out because of excessive heat too early in the roast. Now... That's Fresh Roasted Whole Bean Coffee! 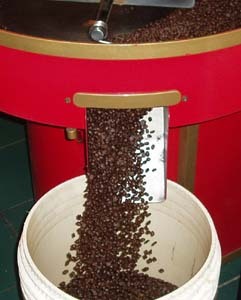 Here the cooling sweep moves the fresh roasted coffee, the finished product, into a bucket for distribution. The cooling sweep moves every last been out of the cooling tray. It's a tough job but someone has to do it! 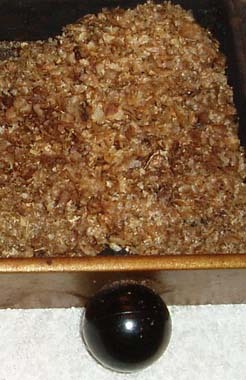 These two photos show the silverskin or chaff that has collected in the roasting drum tray. I understand that chaff does wonders for a garden or compost bin as do coffee grounds. 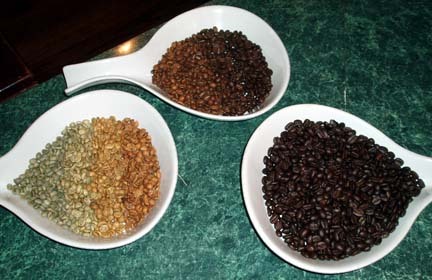 These photos demonstrate the roast progression of fresh roasted coffee, from green to a full city roast. 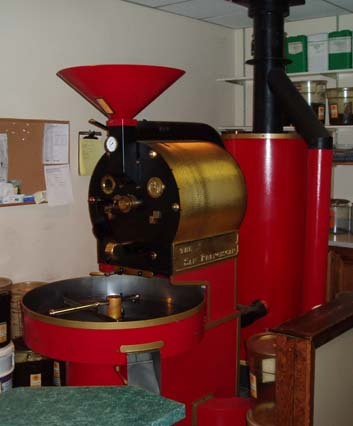 I hope you have enjoyed our Fresh Roasted Coffee and Coffee Roasting Tour page. The journey that coffee makes from its country of origin to the finished product is quite fascinating and the resulting fresh roasted coffee, freshly brewed and "in the cup" can be truly extraordinary. 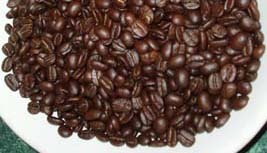 If you have used this page to your benefit, maybe in finding a good local source for fresh roasted coffee, or to help brainstorm the dream of opening your own shop, then this page has served its purpose. 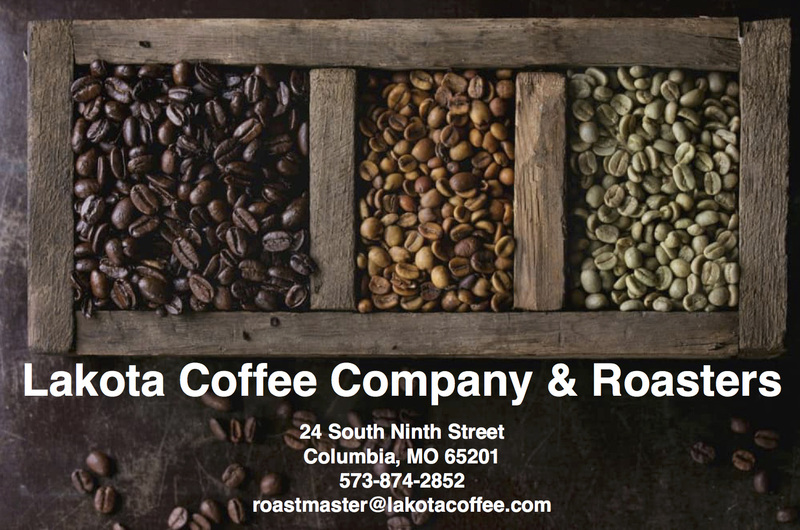 However, if you are looking for a source for fresh roasted coffee, wholesale or delivered to your doorstep, that follows the exacting standards discussed on this site, I hope you will give Lakota Coffee Company and Roasters a try. Just click below on Lakota Home to place your order! Note: If you arrived at our Fresh Roasted Coffee page from the World's Best Coffee Page, then please just close this page and you'll be right where you left off!